Portrait, John Ephraim Thomas Milsaps. Courtesy of the Houston Public Library. Image available on the Internet and included in accordance with Title 17 U.S.C. Section 107. Cover of War Cry and Official Gazette of the Salvation Army, 1894. Courtesy of the Salvation Army. Image available on the Internet and included in accordance with Title 17 U.S.C. Section 107. Milsaps' Diary Entry on Manila, Luzon Island, January 1899. Courtesy of the Houston Public Library. Image available on the Internet and included in accordance with Title 17 U.S.C. Section 107. 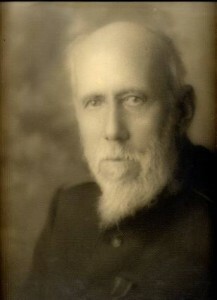 MILSAPS, JOHN EPHRAIM THOMAS (1852–1932). John Milsaps, bibliophile, collector, and Salvation Army officer, was born in Houston, Texas, on January 3, 1852, the son of Ephraim and Elizabeth (Hilger) Milsaps. His grandfather, Isaac Millsaps (the family dropped an l from the name in the next generation), was one of the Gonzales men who died at the Alamo. The Civil War thrust Milsaps into the work force at a young age. His mother supported the family by sewing military uniforms while his father fought in the Confederate army, and the boy augmented the family income by making cartridges. He received only a sketchy formal education. Even so, early in life he developed a love of books and became an avid reader. After working as a clerk, merchant, photographer, and mail carrier, Milsaps joined the gold rush to the Dakotas in the mid-1870s. When he found no gold, he drifted westward, herding mules, waiting tables, building railroads, and mining, until he reached San Francisco in 1882. There he enlisted in the Salvation Army, which had been organized in England a few years earlier. Milsaps made his career in the Salvation Army, where he served as an officer until he retired at seventy with the rank of major. In the course of his career he traveled widely. He was made editor of the War Cry, the official Salvation Army publication, in 1886. In 1894 he pioneered Salvationist work in Hawaii. During the Spanish-American War he went with American troops to the Philippine Islands, where his presence was tolerated but not encouraged. During World War I one of his followers from Manila became the first Salvationist to be accepted as an official military chaplain by the United States Army. Milsaps' Diary Entry on the Milsaps Family. Courtesy of Brett Coomer and the Houston Chronicle. Image available on the Internet and included in accordance with Title 17 U.S.C. Section 107. John Milsaps' Grave. Image available on the Internet and included in accordance with Title 17 U.S.C. Section 107. Milsaps was an inveterate collector. Wherever he traveled, he spent his spare time browsing in bookstores, and at times he went hungry to buy books. He eventually broadened his collection to include fossils, artifacts, curios, and other items. He gave his books and printed matter to the Houston Public Library, where it became the nucleus of the rare book collection. He made his first gift of some 4,000 volumes in 1903, stipulating that the donor be anonymous and that the collection be known as the Circle M Collection. He added to the collection until it included about 12,000 books and 3,000 pamphlets, as well as many newspapers and miscellaneous items. 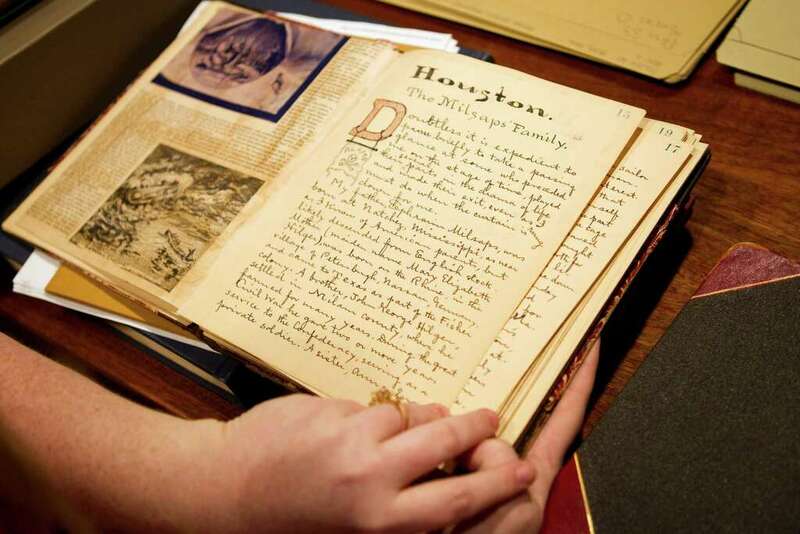 The collection reflects Milsaps's life; it includes notable items on Texas, the Civil War, slavery, Hawaii, the Philippines, religion, and the Salvation Army. Because of the destruction of the Salvation Army library in London during World War II, the Milsaps Collection ranks as one of the best extant collections on Salvationism. Milsaps kept a diary, also deposited in the Houston Public Library, which covers his life and runs to seventy-four volumes. His collection of fossils and related materials became the nucleus for the collection of the Houston Museum of Natural Science. Milsaps never married. He died in Houston on November 29, 1932. Charles Orson Cook, ed., "John Milsaps's Houston: 1910," Houston Review 1 (Spring 1979). Orin Walker Hatch, Lyceum to Library: A Chapter in the Cultural History of Houston (Texas Gulf Coast Historical Association Publication Series 9.1 [September 1965]). Edward H. McKinley, Marching to Glory: The History of the Salvation Army in the United States (San Francisco: Harper, 1980). Handbook of Texas Online, Marilyn M. Sibley, "MILSAPS, JOHN EPHRAIM THOMAS," accessed April 21, 2019, http://www.tshaonline.org/handbook/online/articles/fmi57.